Roofs are easy to forget about it. It’s only when there is a problem that you realize how important maintaining your roof is. That’s why Dangelo & Sons Roofing has created the following infographic with the goal to present information to homeowners in a fun and informative way. 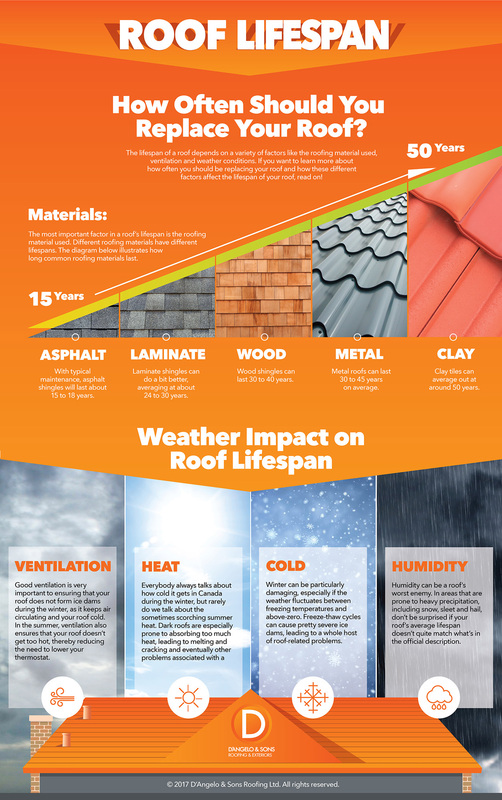 The infographic describes the main problems that affect roof lifespan: the kind of materials used (whether it’s metal, clay shingles, wood or asphalt,) while also taking important factors like the climate into account.